As parents, we are all trying hard to do the best for our children. We make sure they eat well, study well, become all rounders, are well read, buy them the best things etc., etc., But life is a set of experiences and it is the experiences that every one enjoys the most. Children (if you ask them) will tell you that what they enjoy most is not the toy or book or videogame or pizza that you bought them, but an experience you had with them. 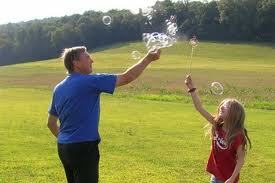 The memories of these fun filled experiences stay for a longtime in a child`s memory, rather than an expensive gift. So how do we as parents create these memorable experiences for them? The first answer that comes to mind is - Travel. Travel is obviously a wonderful experience that children enjoy and remember. And it does not have to be an expensive vacation to Australia, it can be a day trip or a weekend trip. 15 minutes before your kids bedtime, surprise them by taking them out for icecream, in their pajamas. Forget about bedtime!! Make sure you have checked the icecream shop`s timings. Many are open late. If you cannot find one that is open late, don`t worry, most of the five star hotels have 24 hour coffee shops that serve icecream. Expensive, but worth it. Take the child outside and stand in the first rains of the season. Get soaking wet. Take a half day off on a weekday, leave your work behind. (It has to be a weekday. Weekend outings don`t have the surprise factor). Go pick your kid up from school and take them to the local zoo/planetarium/museum/park, whatever. Build a campfire in the garden, or on the terrace of your home or up on the roof of the apartment building. Go to the local market where they sell these clay fire pots (for religious ceremonies). Buy one. They will also sell you wooden sticks and other natural burning material. Build a nice fire. If you are in an apartment, even better, get the neighbours kids` too. Your children will remember every one of the above things and recount it more often than that toy or shirt or game that you bought them. And we assure you, that you will never get tired of hearing it. There is no better "spirit uplifter". What else do you recommend?